Often with your favorite anything, some aspects get lumped together and are quickly forgotten. When it comes to Bringing Up Baby, I’ve never quite focused on the supporting cast, the character actors who make this screwball comedy so effective. Cary Grant and Katharine Hepburn are the stars but it is the actors like Barry Fitzgerald, May Robson, Charles Ruggles, and Walter Catlett who add a level of comedic genius to the film that is unmatched. For the most part these actors are seasoned performers who had long careers on the stage, film and television. You probably saw them time and time again in bit parts in some of your favorite movies. They are the type of actors who seemingly appear everywhere and make the whole product come together. Their characters slowly trickle into the film’s story, fitting around Susan and David’s completely frantic search for the leopard Baby as needed. At first these characters – the local sherrif, the rich aunt, the psychiatrist – seem to be the straightlaced foils to Susan’s peculiar brand of zaniness. But as the movie continues, everyone becomes unhinged and in the final moments. 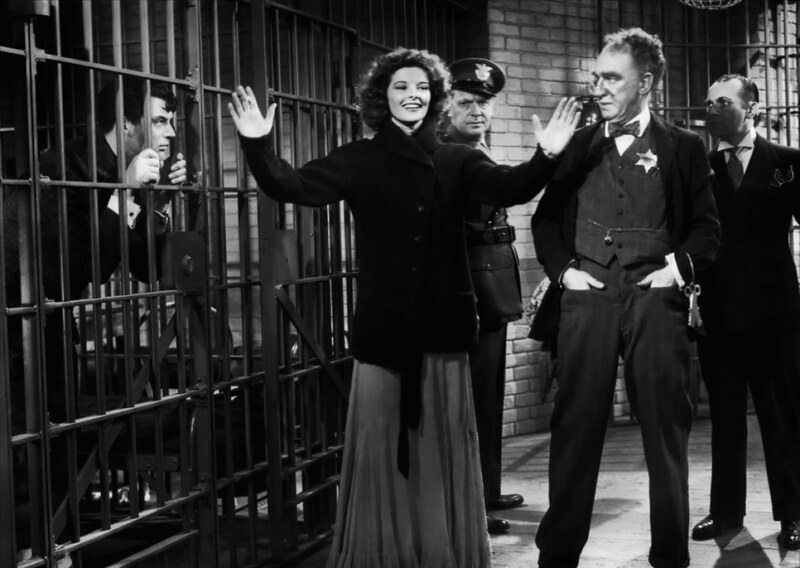 When they all wind up in the local jail for one reason or another (a perfect metaphor for the ensemble) in the most manically hilarious scene imaginable, the ensemble cast almost outshines the two major stars.